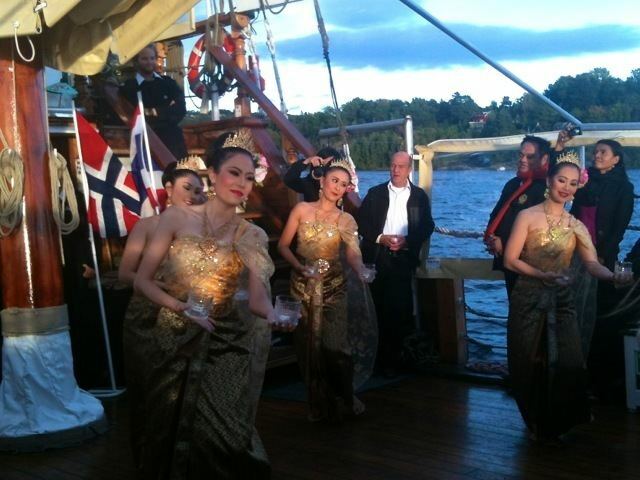 Oslo ( OZ-loh, ) is the capital and the most populous city in Norway. Oslo constitutes both a county and a municipality. Oslo is considered a global city and ranked "Beta World City" in studies performed by the Globalization and World Cities Study Group and Network in 2008. It was ranked number one in terms of quality of life among European large cities in the European Cities of the Future 2012 report by fDi magazine. A survey conducted by ECA International in 2011 placed Oslo as the second most expensive city in the world for living expenses after Tokyo. In 2013 Oslo tied with the Australian city of Melbourne as the fourth most expensive city in the world, according to the Economist Intelligence Unit (EIU)s Worldwide Cost of Living study. 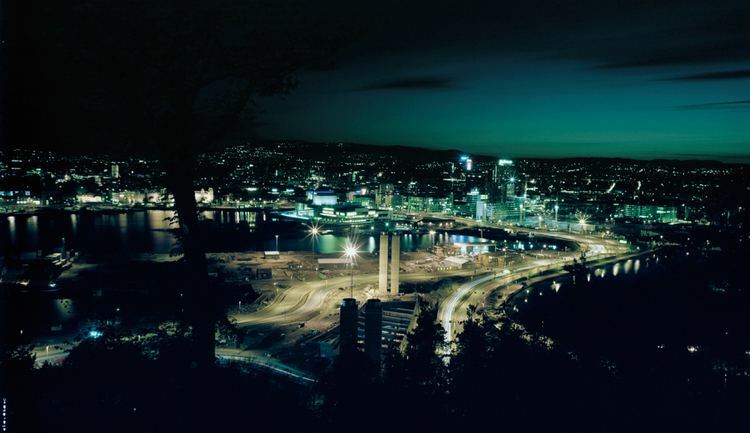 As of January 2014 the city of Oslo has a population of 634,000. The Metropolitan area of Oslo has a population of 1,502,604, of whom 951,581 live in the contiguous conurbation. The population currently increases at record rates, making it the fastest growing major city in Europe. This growth stems for the most part from international immigration and related high birth rates, but also from intra-national migration. The immigrant population in the city is growing somewhat faster than the Norwegian population, and in the city proper this is now more than 25% of the total. According to the Norse sagas, Oslo was founded around 1049 by King Harald Hardråde. Recent archaeological research however has uncovered Christian burials which can be dated to prior to AD 1000, evidence of a preceding urban settlement. This called for the celebration of Oslos millennium in 2000. It has been regarded as the capital city since the reign of King Haakon V (1299–1319), the first king to reside permanently in the city. He also started the construction of the Akershus Castle. A century later, Norway was the weaker part in a personal union with Denmark, and Oslos role was reduced to that of provincial administrative centre, with the monarchs residing in Copenhagen. The fact that the University of Oslo was founded as late as 1811 had an adverse effect on the development of the nation. Oslo was destroyed several times by fire, and after the fourteenth calamity, in 1624, King Christian IV of Denmark and Norway ordered it rebuilt at a new site across the bay, near Akershus Castle and given the name Christiania. Long before this, Christiania had started to establish its stature as a centre of commerce and culture in Norway. The part of the city built starting in 1624 is now often called Kvadraturen because of its orthogonal layout. The last plague outbreak in Oslo occurred in 1654. In 1814 Christiania once more became a real capital when the union with Denmark was dissolved. Although Eastern Norway has a number of rivers, none of these flow into the ocean at Oslo. Instead Oslo has two smaller rivers: Akerselva (draining Maridalsvannet, which flows into the fjord in Bjørvika), and Alna. The waterfalls in Akerselva gave power to some of the first modern industry of Norway in the 1840s. Later in the century, the river became the symbol of the stable and consistent economic and social divide of the city into an East End and a West End; the labourers neighbourhoods lie on both sides of the river, and the divide in reality follows Uelands street a bit further west. River Alna flows through Groruddalen, Oslos major suburb and industrial area. The highest point is Kirkeberget, at 629 metres (2,064 ft). Although the citys population is small compared to most European capitals, it occupies an unusually large land area, of which two-thirds are protected areas of forests, hills and lakes. Its boundaries encompass many parks and open areas, giving it an airy and green appearance. Oslo has a large and varied number of cultural attractions, which include several buildings containing artwork from Edvard Munch and various other international artists but also several Norwegian artists. Several world-famous writers have either lived or been born in Oslo. Examples are Knut Hamsun and Henrik Ibsen. The government has recently invested large amounts of money in cultural installations, facilities, buildings and festivals in the City of Oslo. Bygdøy, outside the city centre is the centre for history and the Norwegian Vikings history. The area contains a large number of parks and seasites and many museums. 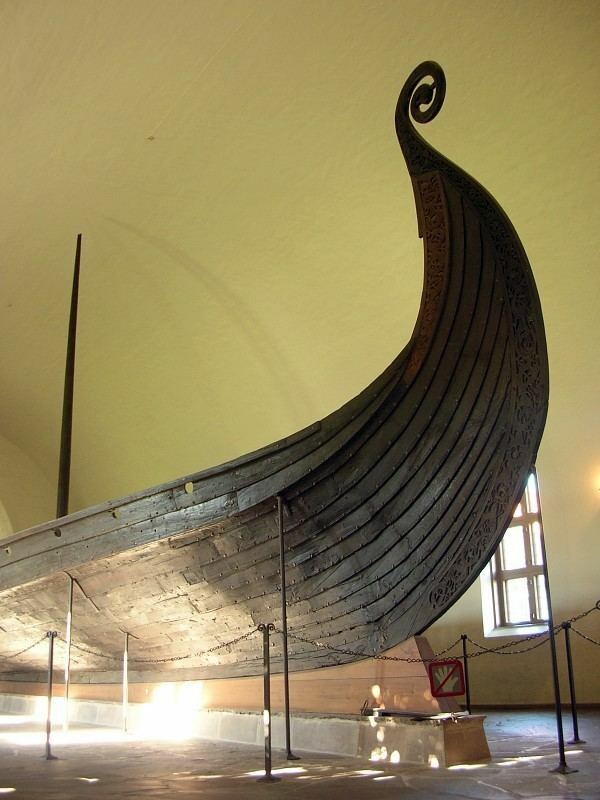 Examples are the Fram Museum, Vikingskiphuset and the Kon-Tiki Museum. Oslo hosts the annual Oslo Freedom Forum, a conference described by The Economist as "on its way to becoming a human-rights equivalent of the Davos economic forum." Oslo is also known for giving out the Nobel Peace Prize every year. Oslo houses several major museums and galleries. The Munch Museum contains The Scream and other works by Edvard Munch, who donated all his work to the city after his death. The City-Council is currently planning a new Munch Museum which is most likely to be built in Bjørvika, in the southeast of the city. The museum will be named Munch/Stenersen. 50 different museums are located around the city. Folkemuseet is located on the Bygdøy peninsula and is dedicated to Folk art, Folk Dress, Sami culture and the viking culture. The outdoor museum contains 155 authentic old buildings from all parts of Norway, including a Stave Church. The Vigeland Museum located in the large Frogner Park, is free to access and contains over 212 sculptures by Gustav Vigeland including an obelisk and the Wheel of Life. Another popular sculpture is Sinnataggen, a baby boy stamping his foot in fury. This statue is very well known as an icon in the city. There is also a newer landscaped sculpture park, Ekebergparken Sculpture Park, with works by Norwegian and international artists such as Salvador Dalí. 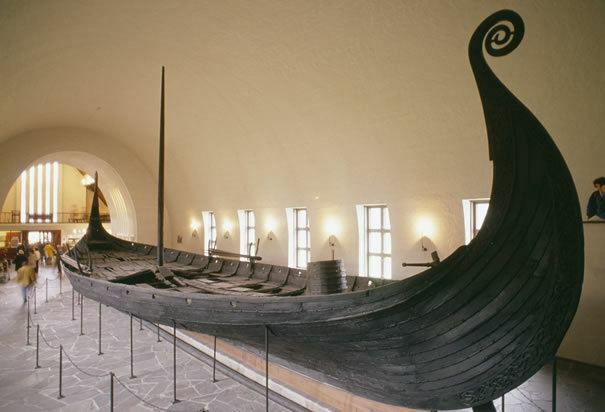 The Viking Ship Museum features three Viking ships found at Oseberg, Gokstad and Tune and several other unique items from the Viking age. The Oslo City Museum holds a permanent exhibition about the people in Oslo and the history of the city. The Kon-Tiki Museum houses Thor Heyerdahls Kontiki and Ra2. The National Museum holds and preserves, exhibits and promotes public knowledge about Norways most extensive collection of art. The Museum shows permanent exhibitions of works from its own collections but also temporary exhibitions that incorporate work loaned from elsewhere. The National Museums exhibition avenues are the National Gallery, the Museum of Contemporary Art, the National Museum, the Museum of Decorative Arts and the National Museum of Architecture. A new National Museum in Oslo will be built in the next 10 years and the building will be located at Vestbanen behind the Nobel Peace Center. The Nobel Peace Center is an independent organisation opened on 11 June 2005 by the King Harald V as part of the celebrations to mark Norways centenary as an independent country. The building houses a permanent exhibition, expanding every year when a new Nobel Peace Prize winner is announced, containing information of every winner in history. The building is mainly used as a communication centre. The Jewish Museum in Oslo aims at informing about Jewish culture and history in Norway.